Congratulations to tour winner Rita W. and to host winner Fabulous and Brunette. 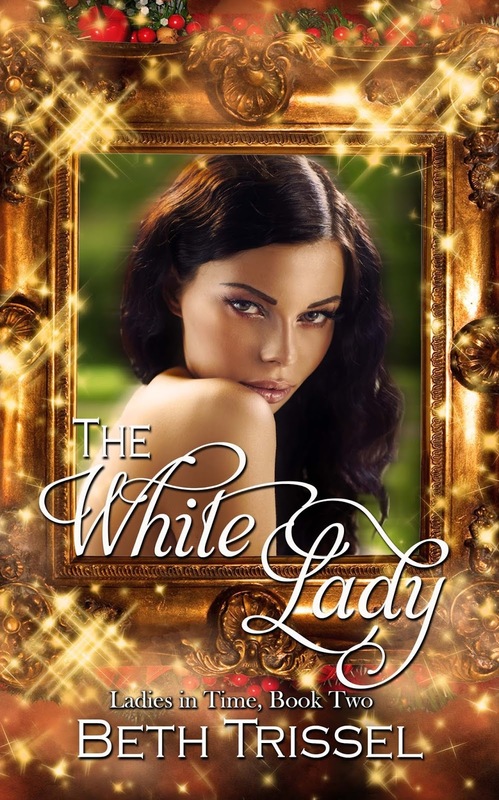 Goddess Fish Promotions is organizing a Virtual Blurb Blitz Tour for The White Lady by Beth Trissel, a Ghostly Holiday Time Travel Romance available November 10 from The Wild Rose Press. The tour will run November 13 - December 8, and this tour will not include interviews or guest blogs; however, a blurb, excerpt and author bio will be provided to every host for inclusion on their blog. A PDF and mobi copy of the book is available for review in conjunction with a promo post. Beth Trissel will be awarding a $20 Amazon or Barnes and Noble GC to a randomly drawn winner via rafflecopter during the tour, and a $20 Amazon or Barnes and Noble GC to a randomly drawn host. Now, this is the tour I have been waiting for! I LOVE Beth's books. I can post and do review on November 30. I would love to host on 11/17 on Fabulous and Brunette - thank you!! I can host this blub blitz on November 15th. I'd love November 13, please and thanks! BooksChatter can host 20 November. I can host on Sharing Links and Wisdom on November 16. I can host December 7th at Jazzy Book Reviews.